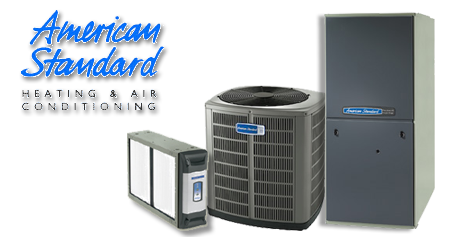 Ruud Heating and Air conditioning has been around since the 1950s, which is one of the reasons why Ruud Heat Pumps are so popular today. Edwin Ruud, a Norwegian mechanical engineer, emigrated to the U.S. more than a century ago and was the developer of the first successful automatic water heater. Since then RUUD has developed and is known for their innovation, quality products and value for money. It seems rather strange in today’s world of technology and instant gratification that in years gone by hot running water was something that could only be dreamed of. This all changed when an enterprising young man, Edwin Ruud, built the very first automatic, storage tank-type of gas water heater whilst working for industrialist George Westinghouse during the 1880s. Ruud purchased the rights to his invention in 1897 and went into business for himself, producing his own water heaters. Over the years RUUD made various other small and large breakthroughs and with these they became a leading pioneer in water heating products for home, commercial and industrial products in the United States. 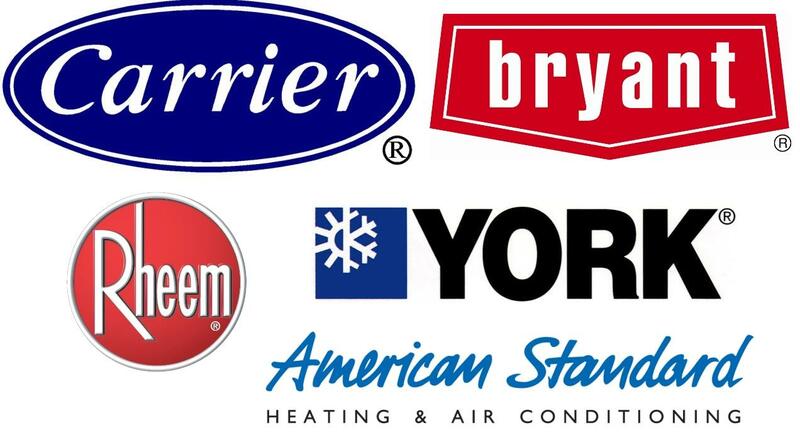 Today RUUD is one of the largest manufacturers of quality cooling, heating and water heating products for light commercial and residential use. Although Ruud’s product lines have grown improved and changed quite a bit as better manufacturing technologies and new design techniques have become available, their commitment to producing long-lasting, reliable and efficient equipment remains their mantra. To this end they employ only the most highly-trained workers and state-of-the-art technology and equipment in their manufacturing facilities. 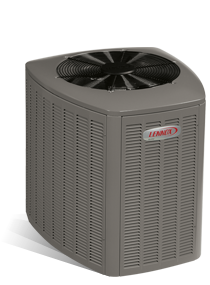 The UPRL-JEC Series – This Ultra Series 16 SEER Two-Stage Premium Heat Pump comes equipped with the Comfort Control II System and Featuring R-410A, and was designed to provide the best in energy conservation, dependability and comfort to single, multi-family and light commercial facilities. The UPNL-JEZ Series – The Ruud Ultra Series High Efficiency UPNL-JEZ Heat Pump is a 13 SEER Heat Pump, and is fitted with the Comfort Control II System and Featuring R-410A. 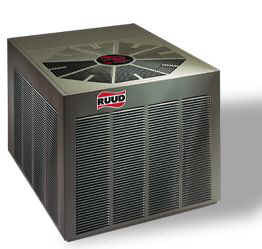 Like all other Ruud Heat Pumps, this unit provides the comfort, dependability and energy conservation that we have become accustomed to from RUUD. The UPQL-JEZ Series – The Ruud Ultra Series High Efficiency UPQL-JEZ Heat Pump is a 15 SEER Heat Pump, and is also fitted with the Comfort Control II System and Featuring R-410A. Like all others in this series it is a quality unit which was designed and manufactured for your comfort. All of the Ultra Series Ruud Heat Pumps are fitted with the Comfort Control System which goes to making your system dependable, user-friendly and capable of alerting you to any malfunctions or the need for a service. Active Protection – a feature that monitors the system to prevent operation in potentially dangerous conditions. Fault Recall – which means the unit will retain the systems operation history through a power failure and display it for quick viewing during service calls. Increased Dependability – due to the thermostat communication capability of alerting you to any required service requirements. On-Board Diagnostics – which display the source of any malfunction on the RUUD 7-Segment LED Display on the control board. 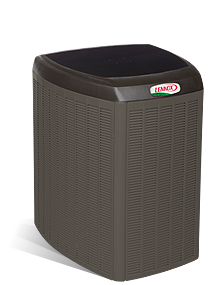 All of the Ultra Series Ruud Heat Pumps also come with a two-stage Copeland Scroll Compressor, a durable galvanized steel cabinet, and a special base pan that minimizes vibration and noise levels. 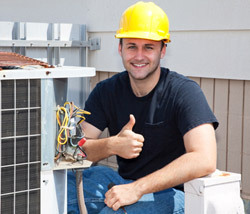 When matched with an Ultra Series Air Handler, the system adjusts the flow of air to help control humidity. All three of the above units come with a Limited 10 Year Parts Warranty. The UPNL-JEZ and UPQL-JEZ have an additional 5-Year Conditional Unit Replacement Warranty, and the UPRL-JEC model comes with a 10-Year Conditional Unit Replacement Warranty. RUUD is very concerned about keeping the earth free of anything that could destroy the ozone layer, and therefore both of these models are “green inside and out” and come fitted with the earth-friendly R-410 refrigerant. Base Pan – the sturdy one-piece drawn and painted base pan elevates the coil off of the pad, which reduces sound and vibration and minimizes corrosion. Easy-Access Panel – the single easy access panel allows a service technician to quickly access the control box and the compressor. Outdoor Coil – the innovative wraparound outdoor coil on these Ruud Heat Pumps is made of copper tubing and aluminum fins which allow for a reduction in energy consumption and an improvement in airflow. Pressure Controls – in order to protect the scroll compressor from pressure extremes, high and low pressure controls are installed on all high efficiency models. Scroll Compressor – the Copeland Compliant Scroll Compressor provides Ruud’s entire residential heat pump line with proven efficiency, sound reduction and dependability. Wraparound Cabinet – the galvanized steel cabinet is powder-coat paint finished to protect the condensing coil fins from corrosion, various yard hazards and extreme weather. 13PJL Series – These 13 SEER Ruud Heat Pumps feature R-410A refrigerant, strong, louvered cabinets painted with long-lasting paint, a fan motor mount which extends the life of the fan and motor and reduces sound and vibration, Ruud’s easy service access panel and a base pan that encourages drainage of condensation and reduces corrosion. 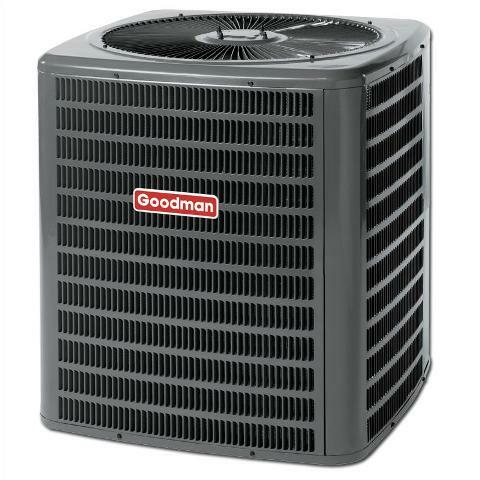 14PJM Series – This is a 14.5 SEER heat pump and like all other Ruud Heat Pumps it features R-410A refrigerant. It also offers a low-profile, louvered, Neutra Green steel cabinet, simple low-cost maintenance via a top grille or one service panel and a quiet operation through a unique grille pattern located on the top of the unit which directs air upward, allowing for low noise levels and tranquility. 15PJL Series – These 15 SEER Ruud Heat Pumps use the R-410A refrigerant and have a maximum unit height of 35 inches. 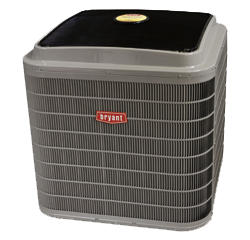 They have a strong louvered design cabinet, feature coils constructed of copper tubing and enhanced aluminum fins, enhanced demand defrost control, expansion valves with internal check valve, factory-installed low pressure control, non-cycling reversing valve, a hot gas muffler, grille/motor mount for quiet fan operation, an easily accessible control box, and a bi-directional filter drier. Equipment can be registered online HERE, and a verification e-mail will be sent to the owner at the address given on the registration application. The registration information required is the model number and serial number of both the indoor and outdoor units, the date of installation, the owner’s name, address, phone number and e-mail address, and the name, address and contact number of the contractor.